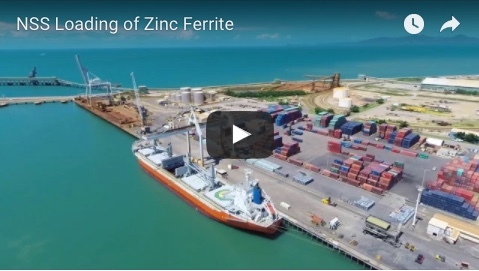 A NEW break-bulk dawn has come to the Port of Mackay with a new wash-down facility and quarantine approved premises, enabling North Queensland Bulk Ports (NQBP) to cleanse equipment landed at the port destined for mines or other projects. 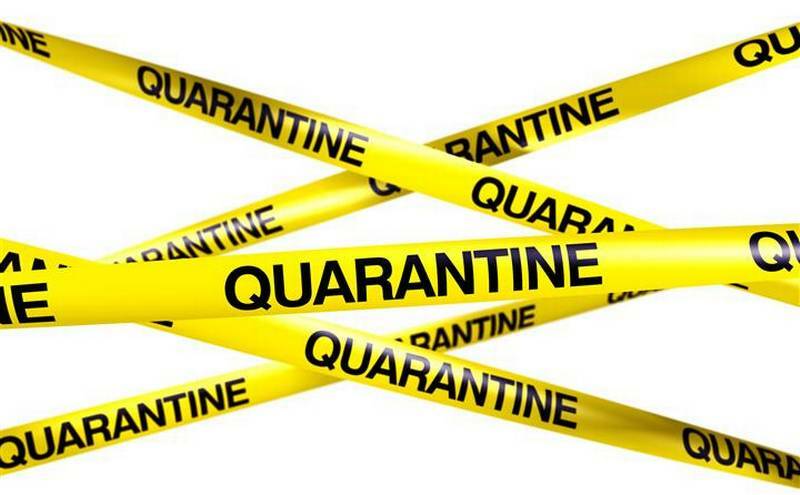 “The world knows Australia takes its quarantine efforts extremely seriously,” Queensland Treasurer Curtis Pitt said. NQBP CEO Steve Lewis said the NSS facilities already had been used to clean a cargo of large mining equipment that had arrived last week. 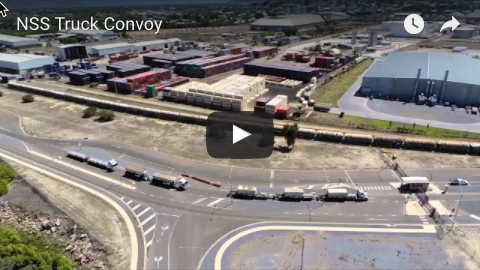 “This cargo — which we hope is the first of many — represents a significant demonstration of the port’s credentials as a major trade and logistics hub that supports the Mackay region and Bowen Basin and potentially the future Galilee Basin,” Mr Lewis said. Queensland ports minister Mark Bailey said Mackay had untold potential and underutilised capacity to facilitate growth. “As part of the strategy to unlock the economic wealth and potential of the port NQBP has negotiated with Northern Stevedoring Services for the installation of a federally-certified wash-down facility and quarantine approved premises within he secure port precinct,” he said. NSS general manager, Juliette Sperber, welcomed the first trade through the facility. 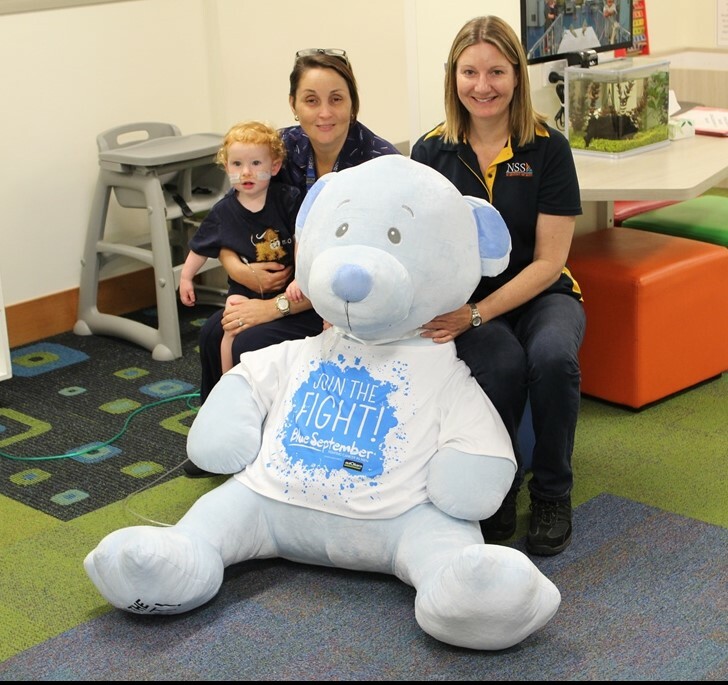 “Our new quarantine wash facility is an exciting development and represents a considerable investment for NSS in Mackay,” she said. Northern Stevedoring Services Pty Ltd “NSS” has been awarded a seven year contract for port logistics and stevedoring services relating to MMG’s Dugald River Mine export mineral concentrates. The Dugald River project is based near Cloncurry in North-West Queensland and is one of the highest grade undeveloped zinc resources globally with an estimated mine life of 25 years. NSS was selected on its experience and capability, commitment to safety and the environment, available assets and infrastructure and highly competitive price. The scope of work includes the receival of sealed containers from MMG’s rail service provider, transport of the sealed containers to NSS port facilities within the Port of Townsville, tippling of containers using the Qube Rotabox™ system into MMG chartered vessels and return of empty sealed containers to MMG’s rail service provider. Shortly after the Dugald River project was granted prescribed project status by the Queensland Government in April this year, MMG received confirmation of financing arrangements for the project, triggering the prompt commencement of construction of the processing plant and creation of significant employment opportunities. The expected remaining cost of the project to first shipment of concentrate is estimated to be US$600-620 million bringing Dugald River into production in the first half of 2018. Northern Stevedoring Services Pty Ltd (“NSS”) is regional Queensland's largest supply chain management provider. 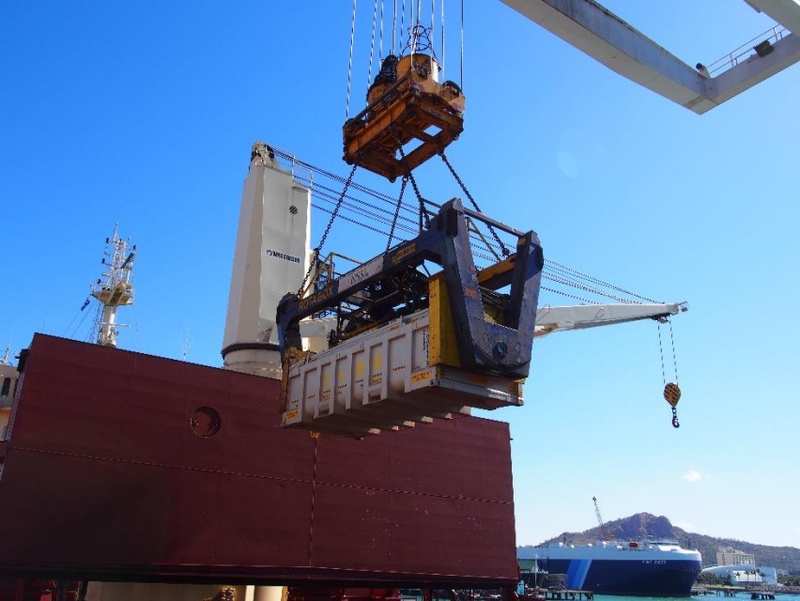 We provide the most comprehensive end to end stevedoring, transport and logistics services for ocean going cargoes in regional Queensland, Australia. Our operations span the Ports of Gladstone, Mackay, Townsville, Cairns and Weipa. NSS invites quotations for the provision of maintenance and repairs to all NSS plant and equipment listed in the draft agreement. Subject to NSS Senior Management’s approval, it is intended that NSS will enter into negotiations with a preferred Service Provider based on responses to the Request for Quotation (“RFQ”). NSS intends to award the work to a single Service Provider subject to adequate demonstration of the Service Provider’s capability to meet the Operational Requirements. However, NSS reserves the right to award the work to multiple Service Providers for separate portions of the Operational Requirements or not award the work at all. The Services under the Agreement shall be described as supply of maintenance and repairs to NSS Plant and Equipment listed at Schedule 3 (within the draft Agreement) including but not limited to the work described in the Scope of Services. 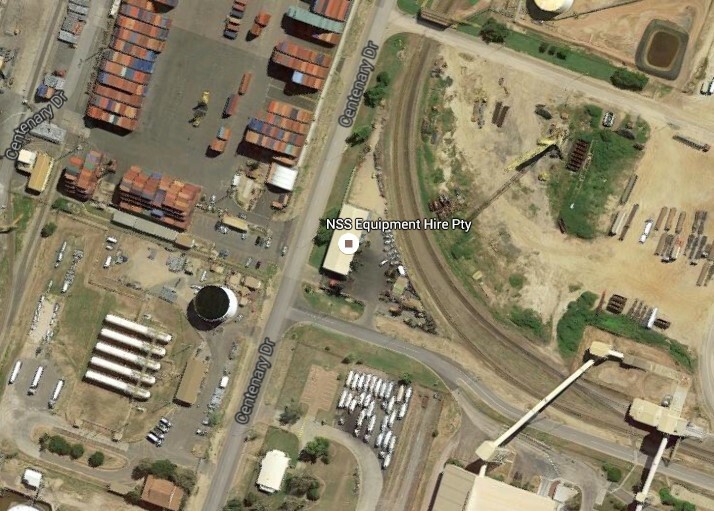 The majority of work under the Agreement will be undertaken at the NSS Equipment Hire Facilities which are located within the Townsville Port precinct in South Townsville and outlined in the below aerial. The balance of work will be undertaken within NSS Townsville operational sites. Quotations must be lodged by the Quotation Submission date. If an extension is sought, a request must be made to the Commercial Manager prior to the close date. If an extension is granted, the extension will be granted to all Service Providers. Prospective tenderers are requested to email the Commercial Manager requesting copies of the tender documentation on or before 4 October 2016. Submissions close on 28 October 2016. What's yellow, has two big hands and can't fly? 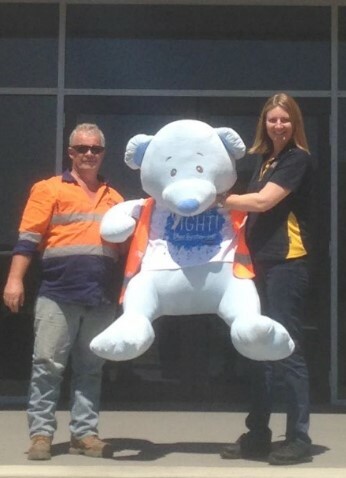 No, it's not big bird... rather the newest edition to the NSS cargo handling fleet. 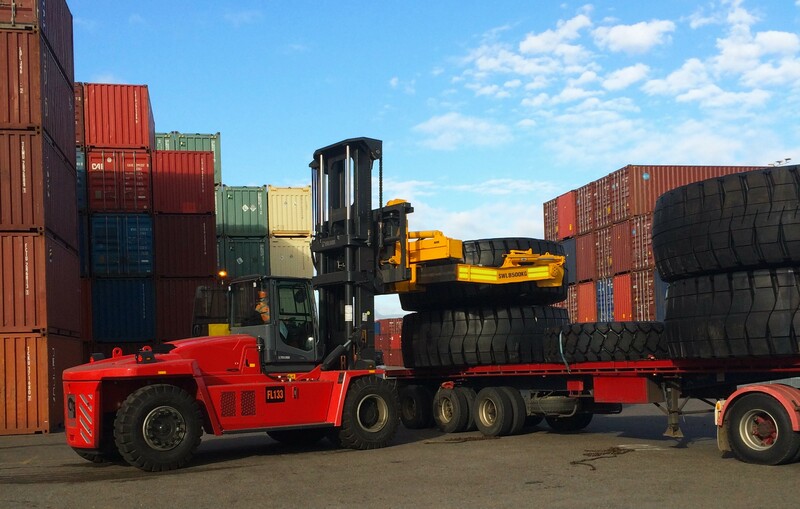 The Cascade Tyre Handler, valued at $200,000, represents NSS's confidence in the future of tyre imports through Townsville, improving productivity and introducing a new level of cargo care. 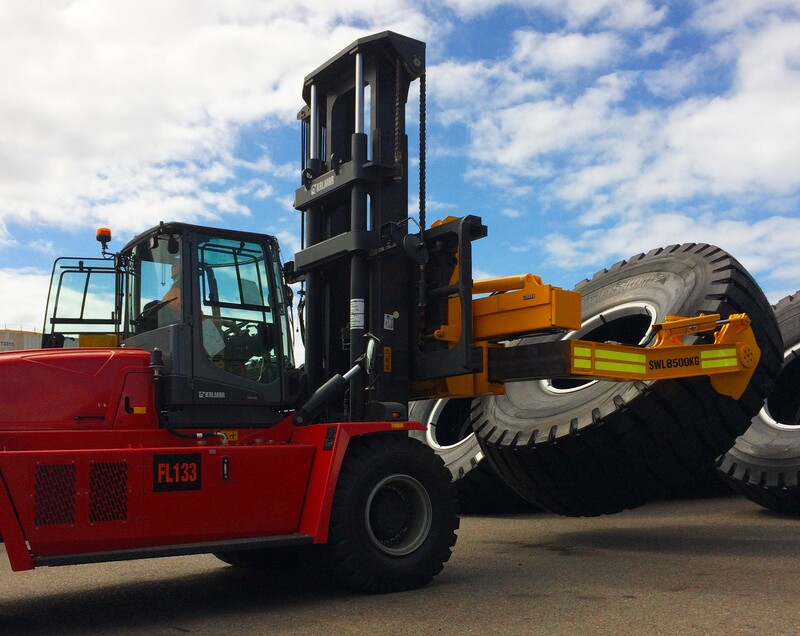 NSS unloads imported tyres for Bridgestone at the Port of Townsville which are destined for use in the mining and earthmoving industries. Capable of lifting 8.5 tonnes the tyre handler can be used in any application requiring the need to handle off-the-road (OTR) tyres. 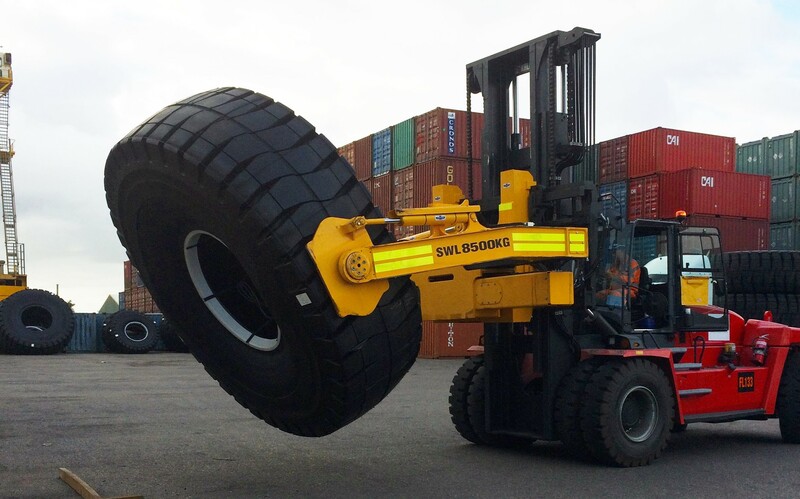 The ability to rotate, tip and side-shift the tyre provides the flexibility needed for alignment with the truck without the use of a second forklift. The clamp attachment ensures the tyre is handled with exceptional cargo care, eliminating the risk of damage to both the tyre and the truck. This also ensures better safety for terminal workers through superior visibility through and over the frame. With its 360-degree continuous rotation, the precision with which the NSS machinery operator can place the tyre maximizes trailer space at the same time as ensuring cargo placement and weight distribution on the truck is exact. 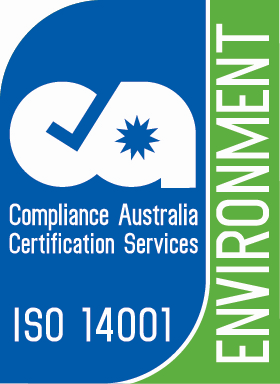 NSS is regional Queensland's largest supply chain management provider. The provide the most comprehensive end to end stevedoring, transport and logistics services for ocean going cargoes in regional Queensland, Australia. NSS operations span the ports of Gladstone, Mackay, Townsville, Cairns and Weipa. To discuss all your stevedoring, transportation and logistics needs, call NSS Commercial Manager Mitchell Smith on +61 7 4722 4800 or contact NSS online today www.nsspl.com.au.